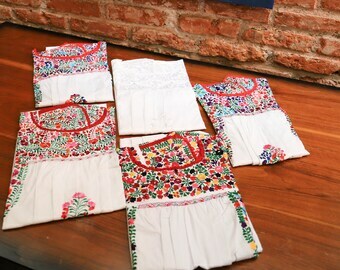 Hand embroidered heirloom Mexican creations. For those with discerning tastes for exquisitely crafted original art. One of a kind masterpieces! Announcement Specializing in high quality heirloom pieces for those with a discerning eye. 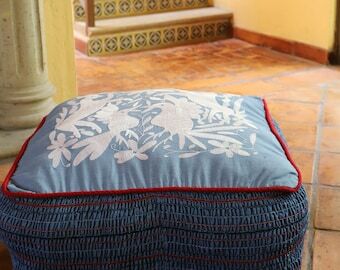 Each piece meets Casa Otomi exquisite standards or doesn't enter into our collection. Casa Otomi has been setting the bar for over 9 years. We only work with master embroiderers and the best weavers in the country. 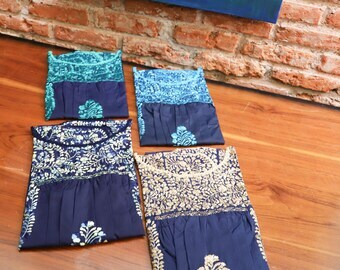 We nitpick over every detail so that you only see the shining explosion of perfection. We hold our head high in offering you the absolute best of Mexico! Follow us on Instagram. 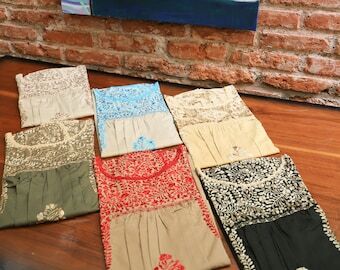 @CasaOtomi for the latest pieces. Specializing in high quality heirloom pieces for those with a discerning eye. 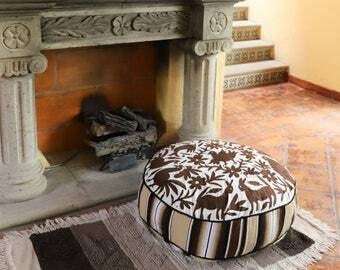 Each piece meets Casa Otomi exquisite standards or doesn't enter into our collection. The pillow sham is absolutely gorgeous. It took about 3 1/2 weeks to arrive at our Florida destination but it was well worth the wait, most of that time it spent in customs, it was shipped out immediately upon ordering. Would definitely order from this shop again, the workmanship is superb from the embroidery to the construction of the pillow. Multi color Folk Art Pillow Sham-Otomi Embroidery Ready to ship. Lovely item with wonderful warm colours. Safely packed. Arrived on time just as promised. Restock on our loved Pom Pom Puebla shams. Master embroidery work. Beautifully lined. Hidden zippers. Expertly crafted. Hand boiled and hand spun wool little clutches with hand embroidered details. Free shipping in our entire Etsy shop to continue with our Mexican fundraiser! 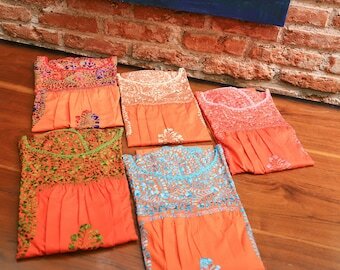 Check out all of our new San Antonino dresses. Our largest shipment ever! Me and my Cat. Shunku Mietz. Mije for Baby Cat. As a Mexican artist I strive to bring you the absolute best! 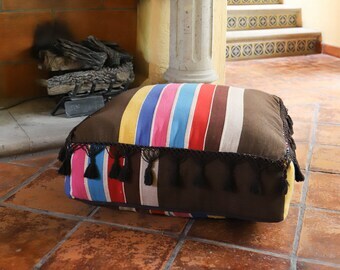 An explosion of handmade Mexican goodness waiting to liven up your space and closet. Come in and Explore. Inspiration: Color! We can't get enough of it! 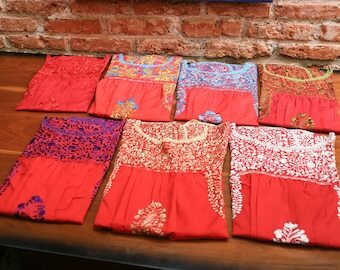 Aspirations: Our goal is to one day create a real Casa Otomi Eco Farm inspired by all of Mexico's talented artisans. 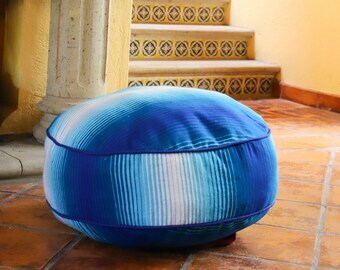 A place to escape it all and immerse yourself with the colors and vibrancy of Mexico. About: Casa Otomi is the brainchild of Naif Artist Sandra Renteria and Coffee Farmer Abel Chavez. In Sandra's past life, she ran the nationally recoginized and award winning fair trade "Indigena Gallery" in Denver, Colorado. She dedicated most of her adult life to humanitarian endeavors. Abel dedicated most of his life to helping his family run their organic coffee farms in Linda Vista, Oaxaca. 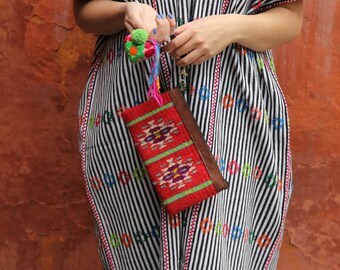 After moving to Mexico to be closer to Abel's family and farm they merged talents to create the handmade artisan fair trade line-Casa Otomi. The close relationships that have been built with the artisans over the years has been instrumental in being able to create their contemporary designs. 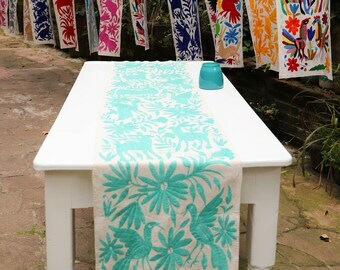 Casa Otomi has many more pieces on the drawing board and we are looking forward to sharing them with everyone. Thank you for supporting our unique vision! 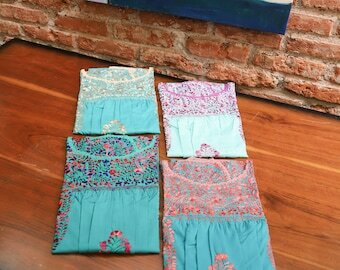 Carmen is our personal Seamstress that sews your beautiful creations! She is a stay at home mom who prides herself in perfecting our one of a kind pieces. Her precision is master worthy! 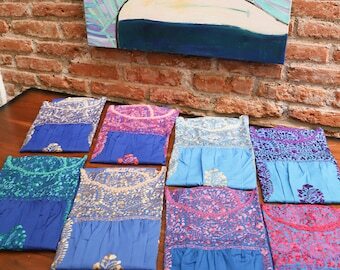 We work with a group of TOP embroiderers to bring our pieces to fruition. A piece can take months to complete as most only embroider an hour or two a day as a way to earn extra money and relax. 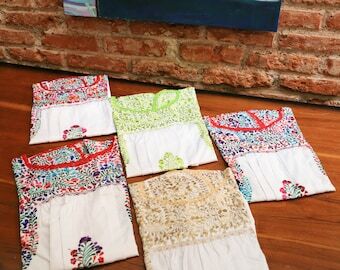 We are grateful to farm out the embroidery to MASTERS! 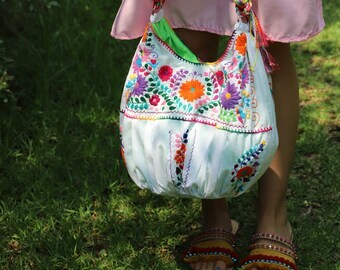 Welcome and thanks for shopping at CasaOtomi. Our goal is provide beautiful, unique, OOAK works of art. Quality. Heirloom! Exquisite master crafts team! A bad apple spoils the whole bunch. All sales are final. We describe each item and photograph in detail so there are no surprises. 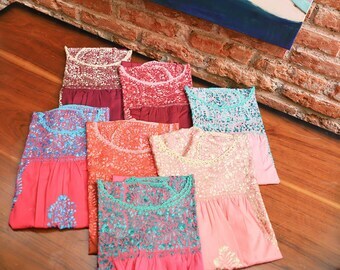 If you have design indecision or feel like the item "just doesn't go" Please do not purchase as we cannot accept returns. PaymentOrders are processed in the order they are received. I accept: Visa, MasterCard, American Express, Discover, and PayPal. Please keep in mind that if you are paying via echeck with PayPal, there is a 4-5 day hold before the funds clear my account. Please understand that this will delay your order. I will start your order after payment has cleared. We ship within two days of receiving payment. We ship via Mexican post office. So far we love it! We send it express and certified and are happy to report that most items are recieved within two to 3 weeks. If you are in a hurry. Tell us, we can upgrade shipping and get in their in the blink of an eye..or two. ;) (UPDATE: For the past two weeks we are seeing 4 weeks to Europe and 3 weeks minimum to the USA for the packages shipping thru NYC. Sadly Texas packages are no longer going thru Texas...they are going to NYC first. We are seeing that these changes are effecting our packages to Texas. Hold tight. Your packages will get there. I am here every step of the way. We ship GLOBALLY! Please note that buyers are responsible for any and all duties and customs charges that may be incurred. To insure package please contact us in advance. We cannot be responsible for lost packages without an insurance policy.